The corporate home for millions of public and private companies, Delaware will always hold a prominent place within the unclaimed property community. At this year’s Keane Client Connection in Philadelphia, Delaware State Escheator Brenda Mayrack addressed an audience of Keane clients and industry colleagues, providing insight into her goals for her Office and the State’s unclaimed property program as a whole. Delaware is unique among the 50 states in that we have a bifurcated unclaimed property program. There have been some pretty significant changes in the last two years within the Delaware Office of Unclaimed Property, so I would like to outline how we are structured and what each department is responsible for. The Office of Unclaimed Property is part of the Delaware Department of Finance. I report directly to the Secretary of Finance, Rick Geisenberger. Within the Department of Finance, there are three divisions: revenue, lottery, and accounting. The Office of Unclaimed Property is part of the Office of the Secretary.  The Office of Unclaimed Property has two primary sections – compliance and enforcement. Our compliance team is responsible for holder reporting, claims, and securities. Our enforcement team is responsible for examinations, annual compliance reviews, and a handful of legacy Voluntary Disclosure Agreement submissions. Except for a handful of legacy Voluntary Disclosure Agreement submissions still being processed by the Department of Finance, since 2013, Delaware’s Voluntary Disclosure Agreement (VDA) program has been administered by the Secretary of State’s Office. This change was made in recognition of the fact that the Secretary of State is responsible for Delaware’s corporate franchise and all of Delaware’s alternative entities and corporate filings, and thus would be better positioned to administer a VDA program that is meant to be voluntary and holder-directed. The priorities for our program, as directed by Governor Carney’s administration and Secretary Geisenberger, are to be fair, efficient, and consistent in how we treat holders and claimants. First and foremost, we want to have annual voluntary compliance, holders are filing their annual reports as required by statute. That is our first priority. Most of Delaware’s unclaimed property each year comes in through annual filings, both from general ledger property and from securities property. We want to collect exactly what is due to Delaware, no more, no less. Our second priority is voluntary compliance for any past due liability. If you believe your company has a historical liability that may not have been reported, we want your company to come forward voluntarily and participate in the VDA program that is run by the Secretary of State. Per our first priority, we would prefer that companies file annually. If your company has not been filing annually, we ask that you come forward voluntarily in a holder directed process with a waiver of interest and penalties and resolve any historical liability in the context of a VDA. Our third priority is enforcement actions. As a former holder advocate, I know holders would prefer to avoid an exam if possible. The State would also prefer to avoid exams. However, exams remain necessary in limited instances and after holders have failed to file annually and failed to take advantage of opportunities such as the VDA program to resolve their past liability voluntarily. We know that states without an audit program see lower numbers in both their annual filings and in their voluntary programs. Therefore, limited enforcement efforts, unfortunately, have to be remain a part of this program, but only after a company has had every opportunity to come forward voluntarily for annual filings and a voluntary disclosure agreement. Delaware now has a lookback period applied in an examination of 10 years plus dormancy. Our previous lookback period for audits went back as far as 1981. Delaware’s lookback period is now consistent with most other states. Our record retention requirement is also consistent with our lookback period; holders must retain records for 10 years after filing a report. We do require a due diligence mailing prior to reporting. Delaware’s record retention requirements are now consistent with most other states. Estimation will only be utilized in an exam where holders have failed to comply with the filing and record retention requirements. Delaware now requires online reporting. As of March 1st of 2018, we no longer accept paper reports or reports on disk. We do have a Website with a portal that allows you to upload or create a NAUPA compliant file. That is the only accepted form of reporting going forward. If we do receive a paper report from your company, you will hear from us, and we will ask you to refile it. Although our statute allows the imposition of interest and penalties – because you are technically late if you have not filed in the right format – at this point, we likely would not assess interest and penalties because we are still engaging in holder education on proper format, and we will continue to do so for the next couple of years. We understand there is a transition going from paper to online reporting, but I know that there are many ways that you can create that NAUPA file and upload it. If you only have a few items of property to report to Delaware, we also have a manual reporting option. This allows you to basically just type in each item of property and our Website will then create the NAUPA file for you. If you have more than 10 items, it might be easier just to create your own NAUPA file. In the coming months, you may be receiving more letters from the State of Delaware. One of my initiatives has been to try to communicate better and more often with holders about their reporting obligations. We will send a reminder letter before your report is due notifying you that reports are soon due and that you have due diligence obligations before filing the report. If you happen to be late filing your report, you will receive a friendly reminder letter from our Office asking you to file your report as soon as possible, if the filing deadline has already passed. One of the things I am most excited about that was enacted by Senate Bill 13 is our annual compliance review program. We are actually one of just a handful of states that has a program like this. Basically, this program will review holder filings within one year of the filing and allow the State to ask for more information, ask the holder to “verify” the report, or provide additional technical feedback to the holder. The annual compliance review program is not an audit or exam. It is a chance for the State to take a closer look at the reports that are filed and have some back and forth with the holder with the goal of making sure that those reports are accurate and filed correctly. We are starting this program on a pilot basis with a small number of holders. However, if you do receive a letter under the guise of this program, I suggest that you take those letters seriously and respond in a timely manner. For instance, if holders are still filing in paper format, you may receive a letter that says you have filed in the wrong format, and reminds you to please file in the correct format next year. If your company has filed, but filed late, you will get a letter about that. We appreciate that you filed, but next year we would like to see you improve and file on time. For reports with formatting errors, incorrect or incomplete address information, we are going to start taking a look at those reports and have dialogue with those holders to get the information we need to reunite that property with the owner. We will also be selecting holders who have not filed. If you have filed in previous years, but you have not filed in the current year, we will be reaching out and asking for that holder to file what is called a “verified report.” A “verified report” asks the holder to verify under penalty of perjury, that yes, indeed, the company has a zero, or negative, report due to the State of Delaware. We have already mailed letters, probably to several hundred holders about filing in an improper format (e.g., on paper or disk). By the end of September, we will have sent another 700 letters to late filers. Again, whether you are an advocate or whether you are a holder, please take those letters seriously. If we do not get a response to a letter under the Annual Compliance Review Program, then the next step would potentially be an exam. If your company does have historical unclaimed property liability, the State of Delaware prefers that your company comes forward voluntarily to resolve that liability through the Secretary of State’s VDA program. The key benefit for holders who voluntarily enroll in this program is receiving a waiver of interest and penalties for any past due liability. If your company receives an invitation letter from the Secretary of State inviting you to participate in the VDA program, I highly recommend that your company opts in to that program. While it was not always our past practice to issue audit notices to the companies that did not opt in, my policy is to issue an audit notice to every company who does not accept the invitation to join the VDA Program within 60 days. If the Delaware Secretary of State mails 100 invitations to 100 companies inviting them to participate in the Secretary of State’s VDA program, I would love to see 100 companies opt in. That is a success for our program. But if one company does not opt into the VDA program, then that company will receive an audit notice. If 50 companies choose not to opt in, those 50 companies will receive audit notices. It is also important to note that companies do not have to wait for an invitation to join the VDA Program. Companies may enter the VDA program at any time. Have you received a Delaware Voluntary Disclosure Agreement Invitation? Keane can help you complete the DE VDA Program in a simple and efficient manner. The Secretary of State’s Office has made some changes to improve how we mail the invitations. In the past, the Secretary of State would typically mail an invitation only to the CFO. Now, the SOS also mails a copy of the invitation to the company’s Delaware registered agent, because we want to do everything we can to make sure that those invitations get to the right people in your organization so that your company can make a deliberate decision about whether or not to enter the VDA Program. If your company receives an invitation to the VDA program and does not elect into the VDA program, there will be a Notice of Examination coming between 60 and 75 days afterwards. We try to provide a bit of a grace period. Regarding our overall audit process, one of my priorities is for all exams to move faster. I am a former holder advocate. I understand the internal and external resources that it takes to defend an exam. I want them to be as painless as possible for companies who get to that point. A holder typically has 30 days to provide the documents and information that have been requested by our third-party audit firm. A company may get a 30-day extension in most instances. However, on day 60, if the holder has not provided the requested information, the State will send what we call a “30-day letter,” which asks that the holder provide the records within 30 days. If another 30 days go by, the State will issue an administrative subpoena, which is enforceable in the Delaware Court of Chancery. My observation is that there is too much dispute and delay in some of these exams over what are very routine document requests. The State’s objective is to try to move these exams along so that again, it is not costing your companies excessive fees paid to advocates and using up internal resources, and so that we can actually get to the core substantive issues in these exams and the liability. Not surprisingly, there are many people out in the world trying to get unclaimed property that does not actually belong to them. We have had to increase our fraud prevention efforts, implement fraud detection tools, and change some of our procedures for processing claims in response to increased risk of fraudulent claims. We are doing everything we can to return property to the rightful owner. This does require owners to prove their identity and to prove that they have a right to the property. One of the other changes made by Senate Bill 13 concerns claimants with securities property. After Senate Bill 13, if a claimant submits a claim within 18 months of receiving a notice of escheatment from the State, the claimant may either get the securities back or the cash value at the time of filing the claim. This change addresses some of the unfairness inherent when the State liquidates stock and then there is a change in price. As long as the claim is filed within 18 months of the claimant receiving notice from the State and the election is made at the beginning of the claims process, we will return the securities, even if it means the State has to buy them back at the current – and possibly higher – value. It is apparent from Ms. Mayrack’s presentation to Keane clients that she intends to establish greater predictability and stability within Delaware’s unclaimed property compliance program for benefit of both the State and holders. Ms. Mayrack also clarified that audits, while not preferred, must remain a component of Delaware’s overall program. However, holders will have multiple opportunities to come into compliance before having to undergo an examination. If your organization has a reporting obligation to Delaware and would like to explore the voluntary disclosure agreement or other compliance initiatives, please contact Keane for assistance. Go from An Interview with the Delaware State Escheator back to the Fall 2018 issue of Keanotes.